Of all the books I read last year, this had the biggest impact on me. 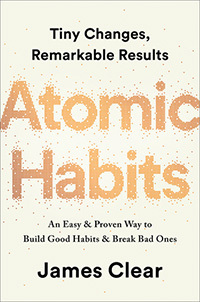 James Clear shares a framework for building good habits, which can be reversed to help stop bad habits. 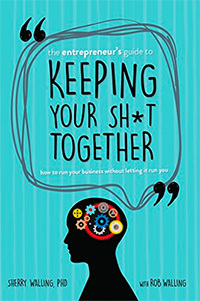 It’s packed full of practical advice. A book I’ll be revisiting often. The quality of our lives often depends on the quality of our habits. I build websites for a living, so I was obviously excited to pick this up when I heard about it. 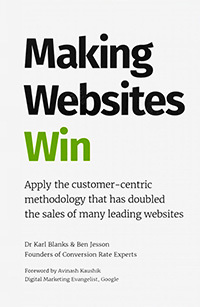 The market is flooded with books about how to design and build websites, but very few teach how to make effective websites. This is that book. At the time of writing, the digital edition is £1.99/$1.95. It’s crazy how much value you’ll get for less than a cup of coffee. If you do make your website more beautiful, ensure your designs are minimalist—visually and technically. Keep them elegantly simple and easy to update. And don’t forget that—like the Stanley hammer—good functional design has a beauty of its own. The top companies make frequent, incremental changes, and rarely (if ever) have huge website redesigns. The best marketers create funnels that counter each objection at the exact moment that the visitors are thinking it. And the only way to do that is to understand the visitors well. A thought-provoking quick read (it’ll only take about an hour) on the damage that can be caused by lying. 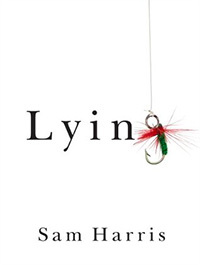 Harris makes a clear argument that few of us are ever in a situation where lying is necessary or beneficial. Honesty is a gift we can give to others. Unlike statements of fact, which require no further work on our part, lies must be continually protected from collisions with reality. Lies are the social equivalent of toxic waste: Everyone is potentially harmed by their spread. James O’B – radio presenter on LBC and host of one of my favourite podcasts, Mystery Hour – has spoken to more disgruntled people than most of us. 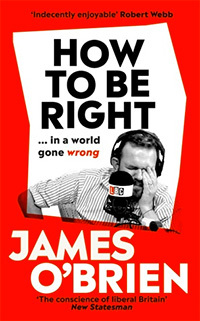 In this book, he dissects the “faulty opinions” from callers to his phone-in show. This book reinforced my belief that most people aren’t inherently bad, but have been misled by politicians and media organisations. The challenge is to distinguish sharply between the people who told lies and the people whose only offence was to believe them. Hardly anyone is asked to explain their opinions these days; to outline not just what they believe, but why. I believe it boils down to a simpler truth than many of us are prepared to admit to: some people are determined to believe in the fundamental badness of others. They choose to. 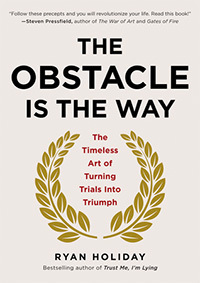 I’ve read Obstacle Is The Way twice now, and I got just as much from it on the second pass. This book serves as a practical introduction to stoicism. If you’re new to the subject of stoic thinking, there’s much to be gleaned from these pages. Today, most of our obstacles are internal, not external. If an emotion can’t change the condition or the situation you’re dealing with, it is likely an unhelpful emotion. Or, quite possibly, a destructive one. Ericsson found that elite performers have something in common: They’re really good at taking breaks. I read this book as part of the book club I’m in. 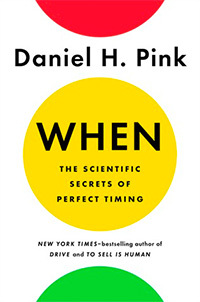 After the first chapter, I wasn’t sure where the book was heading and if I was going to connect with the message, and honestly, if it wasn’t for the book club, I’d have put the book down and moved on. I’m glad I kept reading, because this a wonderfully warm and tender book about vulnerability. It’s a book I needed to read. We are a culture of people who’ve bought into the idea that if we stay busy enough, the truth of our lives won’t catch up with us. Connection is why we’re here. We are hardwired to connect with others, it’s what gives purpose and meaning to our lives, and without it there is suffering. Vulnerability is the core of all emotions and feelings. To feel is to be vulnerable. 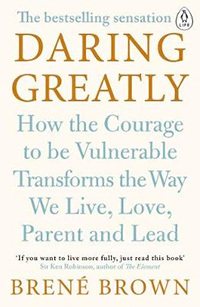 To believe vulnerability is weakness is to believe that feeling is weakness. The founders of Basecamp have written a much-needed manifesto for running a calm business. 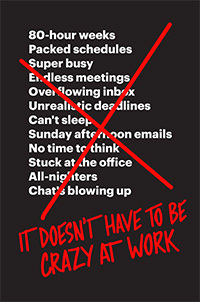 Social media is full of workaholics touting that you need to pull in all-nighters to be successful, but this book shows that it is possible to run a successful business by working sensible hours, taking vacations, spending time with family and getting a good nights sleep. Cutting back when times are great is the luxury of a calm, profitable, and independent company. A business is a collection of choices. Every day is a new chance to make a new choice, a different choice. 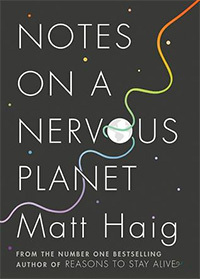 Following up from Reasons to Stay Alive, Matt Haig has written a manual on how to live a sane life in a world that is trying to make us crazy. He covers a breadth of topics that cause anxiety and unhappiness: consumerism, social media, technology, and even reading or watching the news. The thing with mental turmoil is that so many things that make you feel better in the short term make you feel worse in the long term. You distract yourself, when what you really need is to know yourself. There is no shame in not watching news. There is no shame in not going on Twitter. There is no shame in disconnecting. The whole of consumerism is based on us wanting the next thing rather than the present thing we already have. This is an almost perfect recipe for unhappiness. When we lose deep connection with others, our health suffers and our businesses suffer. Freedom and anxiety. Ingenuity and failure. Adventure and instability. Meaning and isolation. These stand in stark contrast to each other and represent the great risk of being an entrepreneur. As an entrepreneur, one of the smartest things you can do is to make sure you are in a community—not only with your family and friends, but also in a community with other entrepreneurs. 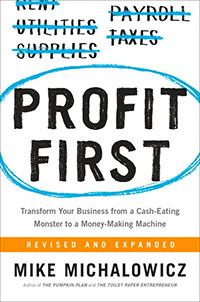 While I found the author annoying at times (it’s another business book that should have been 100 pages or less), there’s a lot of learn from this book. In fact, it changed the way I run the finances in my own business. Recommended if you run a small business. Putting your nose to the grindstone is a really easy way to cover up an unhealthy business. At the end of the day, the start of a new day, and every second in between, cash is all that counts. It is the lifeblood of your business. Eliminating unnecessary expenses will bring more health to your business than you can ever imagine. 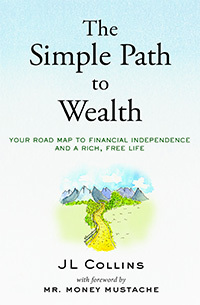 This book is a mix of advice on investments and general financial health and surprisingly isn’t as dry or boring as you might expect. There’s plenty of wisdom to found. I loved the concept of ‘F-You money’, which means having enough savings to give you control and autonomy. It’s your money and no one will care for it better than you. There are many things money can buy, but the most valuable of all is freedom. Freedom to do what you want and to work for whom you respect. It’s a big beautiful world out there. Money is a small part of it. But F-You Money buys you the freedom, resources and time to explore it on your own terms. After reading So You’ve Been Publicly Shamed, and more recently The Psychopath Test, Jon Ronson has quickly become one of my favourite authors. 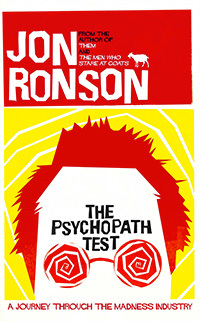 This books follows Ronson’s journey into psychopathy and how dangerous it can be to misdiagnose people. I also found it interesting that “a disproportionate number of psychopaths can be found in high places”, such as CEOs or politicians. Makes sense when you think about current world affairs. ‘Sociopaths love power. They love winning. If you take loving kindness out of the human brain there’s not much left except the will to win.’ ‘Which means you’ll find a preponderance of them at the top of the tree?’ I said. If you’re after more book recommendations, I also made a list of the best books I read in 2017. I’d love to hear your book recommendations too! Shoot me a tweet.